The new product everyone is raving about is now available for purchase in our salon! This shampoo and conditioner duo leaves hair feeling dreamy. With it's main ingredients being babassu and coconut, it is able to cleanse hair deeply while leaving in your hair's natural essential oils. Then by adding in the sweetness from the cherry blossom and the restorative properties of the almond oil, it allows for extreme softness and shine from root to ends. Your hair will be noticeably softer and smelling refreshed as ever, you won't regret adding this product into your daily hair care regime. Especially because it is also color SAFE! As always this product will continue to be VEGAN, GLUTEN-FREE, and SILICONE FREE staying true to Aveda's values. Do you need more reasons to want this product? 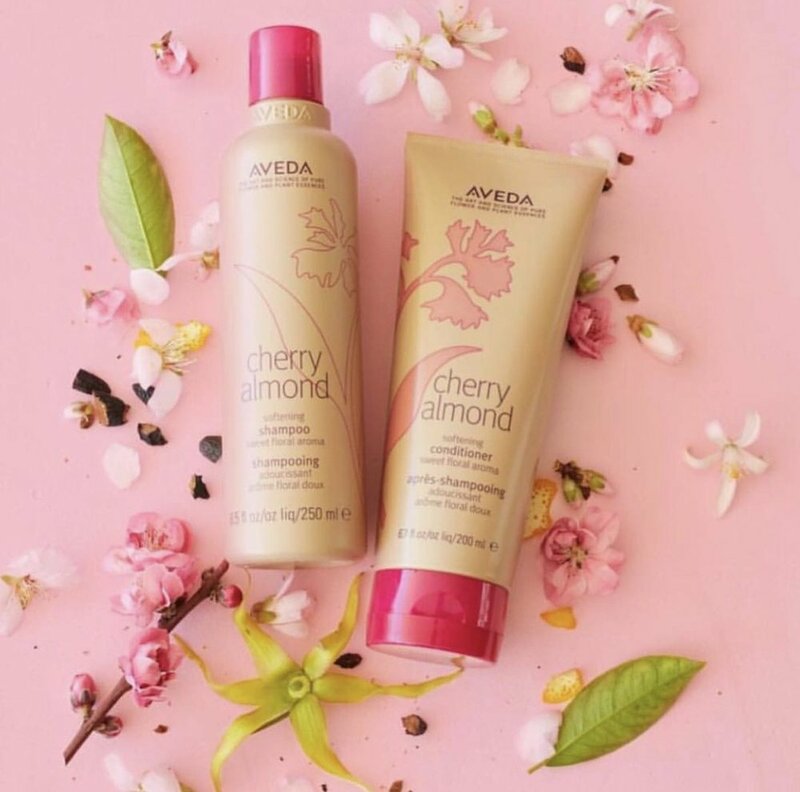 Cherry Almond Shampoo and Conditioner Duo also happens to be affordable and won't break the bank for a little treat yo' self action.